While they are used for two completely different purposes, home heating fuel oil No. 2 and diesel No. 2 are very similar and, in some cases, can be interchanged. But while diesel fuel is relatively consistent, home heating fuel can vary form region to region and from winter to summer. Crude oil is made up of carbon and hydrogen atoms in specific ratios that form a variety of hydrocarbon compounds depending on the size and length of the hydrocarbon chains. During refining, these hydrocarbon chains are separated based on the difference in their boiling points. The compounds with low boiling points settle at the top while those with higher boiling points settle at lower levels. During this process the lighter propane and gasoline are distilled first, after which diesel fuel, heating fuel and lubricating oil are separated at lower levels. Diesel is a middle weight result of distillation that is heavier than gasoline and has the appearance of oil. It does not evaporate as quickly nor is it as volatile as gasoline and takes less refining to make, which often makes diesel less expensive than gasoline. 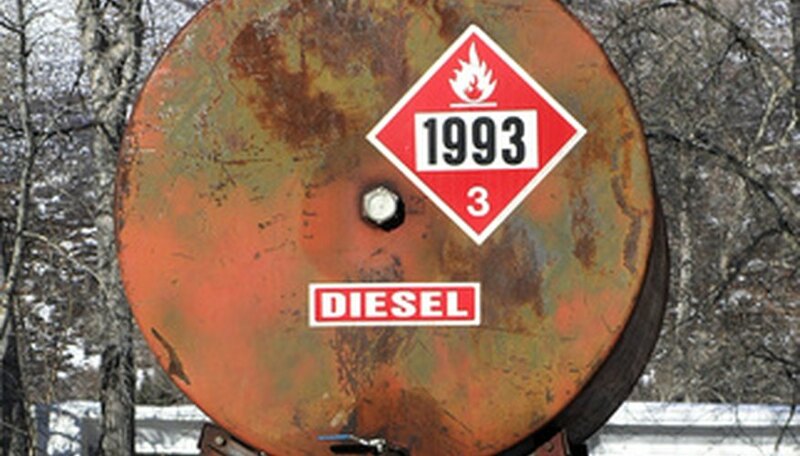 Diesel is used to power generators as well as buses, trucks, trains and boats. An ultra-low sulfur diesel (ULSD) with a sulfur content less than 15 parts per million is used for road vehicles in the United States. Home heating oil is a generic term for a variety of fuel formulations and can be a mixture with heavier oil similar to motor oil, which can provide more heat while burning less fuel. While home heating fuel No. 2 is normally used for home heating, other substitutes can include standard road diesel No. 2, diesel No.1, kerosene, jet fuel, agricultural diesel, home heating fuel Oil No. 4, and home heating fuel oil No. 6. Home heating fuel oil is slightly heavier than diesel fuel but shares similar heat-producing properties. A diesel engine produces approximately 139,000 BTUs (British Thermal Unit) of energy per gallon, the same as heating oil’s 139,000 Btu per gallon. Home heating fuel oil No. 4 and Home Heating Fuel Oil No. 6 offer slightly higher BTU content. In winter, standard road diesel No. 2 may be blended with diesel No. 1 or kerosene to slow gelling and wax precipitation problems that can happen during cold weather. Similar blending occurs to home heating oil in cold regions. While home heating fuel is rarely used as a substitute for diesel because it lacks the lubricating properties, during winter it is sometimes used as "Arctic Grade" diesel. Power To Go: Can a Generator Be Operated Safely Using Home Heating Oil? Barber, David. "Diesel Fuel Vs. Home Heating Oil." Sciencing, https://sciencing.com/about-6726131-diesel-vs--home-heating-oil.html. 09 January 2018.